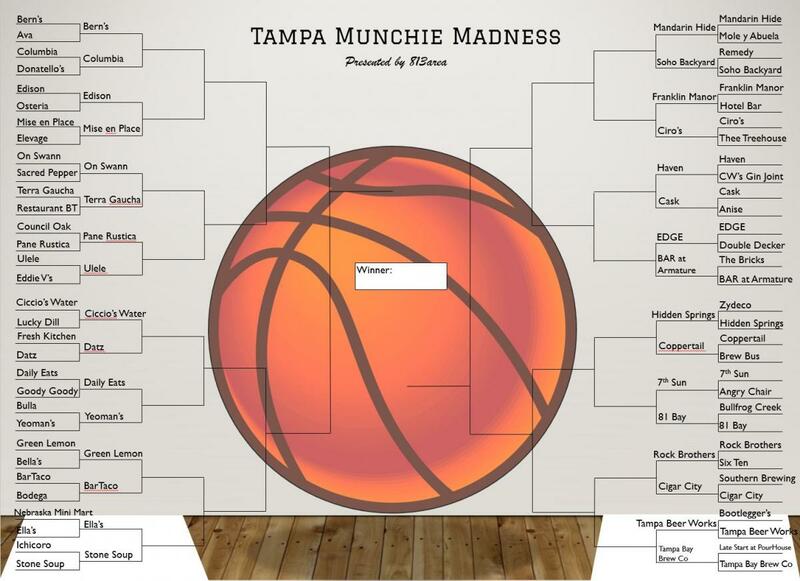 Welcome to the 2019 Tampa Munchie Madness bracket presented by 813area! With all the special, and especially with the Women's Final Four coming to Tampa this year, there's no better time to have the locals of Cigar City select their favorite upscale restaurant, casual restaurant, cocktail bar, and local brewery to find the best of what the 813 has to offer! We picked 64 of our favorites, 16 in each bracket, and will let our users decide. Round 1 ends on Monday at 10 p.m. Round 2 ends Thursday at 10 p.m., and we'll announce the later rounds around the Sweet 16. There have never been more terrific local businesses in Tampa Bay, and we hope this bracket helps you not only support your favorites, but maybe find a couple you didn't know about already. So come back and vote early and often, and we'll see you back here as we select our favorite businesses in Tampa this bracket season!